The 2019 Addix All-Star Game is scheduled for June 7th, 2019 at Hope College. To date, Addix has been able to raise over $50,000 for Gilda's Club Grand Rapids. The nomination period is currently open and will run through April 18th. The Addix All-Star Game began in 2016 with a vision of showcasing the top seniors in the area, while also giving back to an important cause. Since then, the game has rapidly grown. 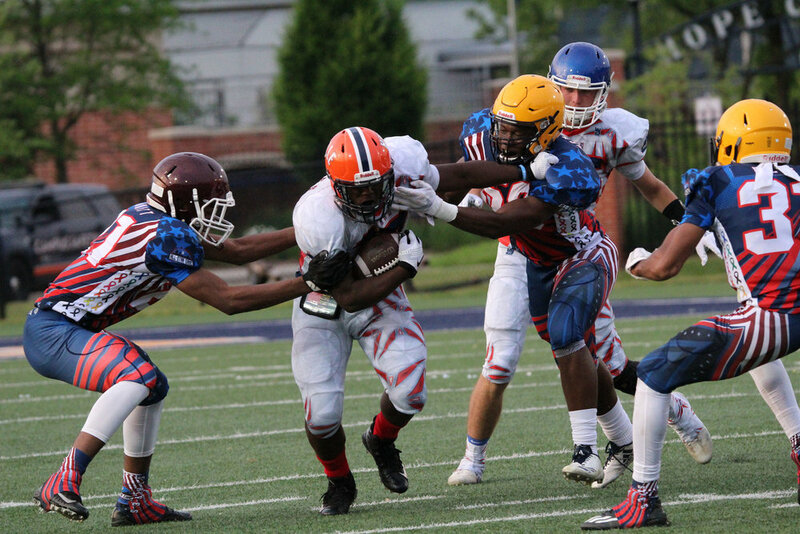 With over 400 nominations, an expanded geographic reach of participating schools, and a new venue last year, the 2018 Addix All-Star Game was an incredible event. All of us here at Addix look forward to our biggest and best all-star game yet in 2019. You can nominate seniors by clicking HERE. 2016 Final Score: Stripes 19, Stars 9. 2017 Final Score: Stripes 37, Stars 0. 2018 Final score: Stripes 21, Stars 14. View the 2018 Addix All-Star Game. Full video! Check out 2018 Addix All-Star Game MVP Darius Pruitt’s highlight catch.